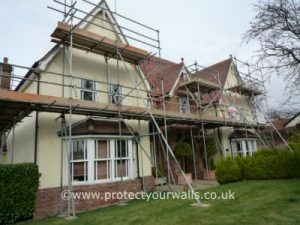 Apex Coating Services are approved contractors for Andura exterior coatings and we have had good results with their wall coating systems for many years. The Classic 21 system is extremely hard wearing and Pro Flex has incredible elastomeric properties. Andura are one of the biggest manufacturers of textured coatings in Europe. They produce a range of different coating systems from their manufacturing facility in Bicester including textured, smooth, clear coatings and roof coatings. They are a British Standards registered company and manufacture their products under the ISO 9001 Quality Management System. If you would like to find out more about the range of Andura Wall Coatings please contact us for a free quote on 0800 145 5161. 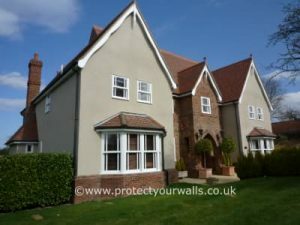 Below is an example of a property we treated with an Andura wall coating system. Please visit our case studies to see more examples of Andura wall coating installations.